As mentioned in earlier post, Ilayathalapathy Vijay's movie "Thalaivaa" has been released in TamilNadu yesterday. Vijay fans of TamilNadu celebrated the release with great happiness. The movie has been screened in more than 400 screens of TamilNadu. 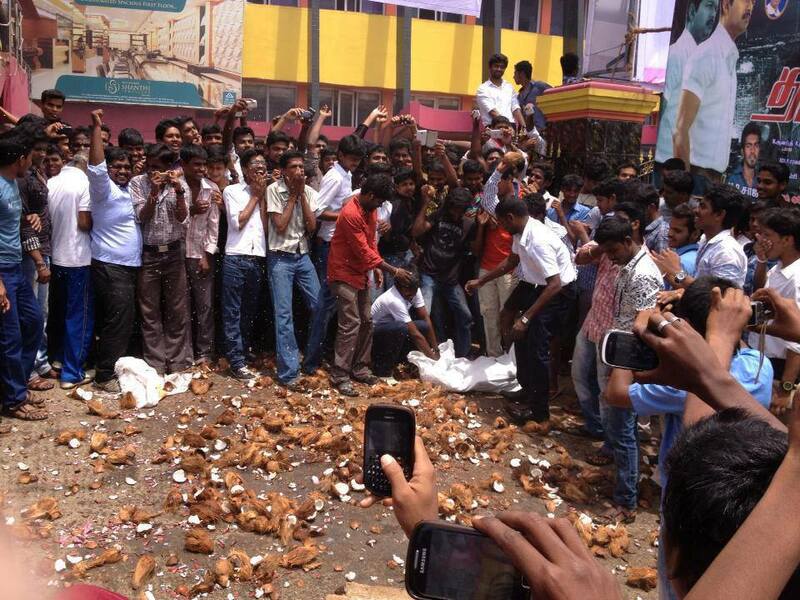 Chennai fans celebrated it by new way by carrying the movie reel in Chariot. In Udhayam theatre, the movie reel has been carried through chariot to temple early morning and pooja has been done. Then fans carried the movie reel in their shoulders to the operator room. Celebrations took place with many crackers and dances all away from temple to the theatre. Look at the celebration pictures of the "Thalaivaa" in TamilNadu. After some struggle and threats, "Thalaivaa" was screened in TamilNadu and treated the much awaited TamilNadu Vijay fans. Many banners and cut-outs has been fixed and treated the fans. 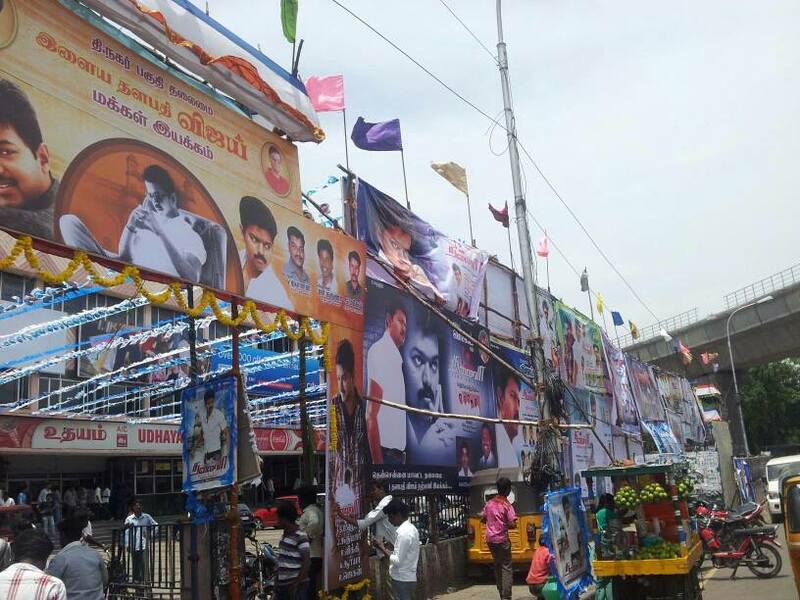 The fans honored the Vijay life size cut-outs with pouring milk. After 11 days, the movie has been peacefully released with great reception from Vijay fans. The celebration video has been provided by BehindWoods and IndiaGlitz. Thanks for BehindWoods and IndiaGlitz for sharing these video. Kindly find those video below from Youtube. 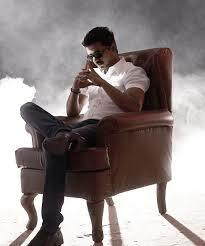 Readers can post your reviews on "Thalaivaa".